The temperature of your body may drop during the session so please bring a blanket and cushion to stay warm and comfortable. We keep some mats, blankets and cushions at the Boathouse, they will be given on first come, first served basis. You simply submerge in the sounds, in the ocean of sounds. All you do is lye comfortably on a mat, close your eyes and slow your breath. Just like during the relaxation after our Yoga class. You prepare yourself to become the receiver of sound. It’s in this place of stillness that you become more open and aware of each sound that comes in. 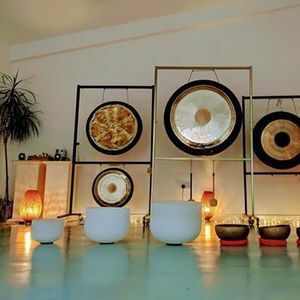 Then I create the soundtrack… Your mind, body and soul is bathed with the tones of the Gongs and other instruments. 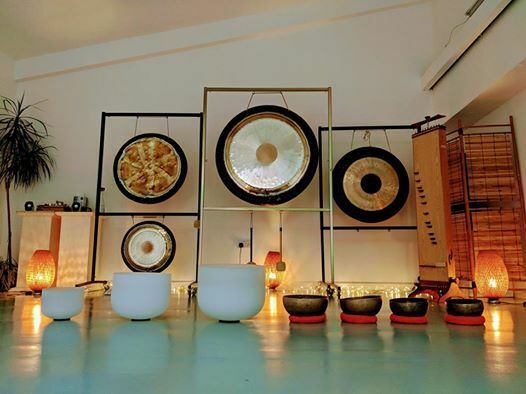 The aim is to go into a deep state of relaxation, taking you to a space of neutrality, a space of bliss where the body’s natural healing process begins… It’s all about opening the passage of energy flow throughout the body to make you healthy and happy.